New traffic congestion busting traffic lights will be installed along Epping Road from North Ryde to Epping and Victoria Road in West Ryde will be widened, Ryde MP Victor Dominello has announced. 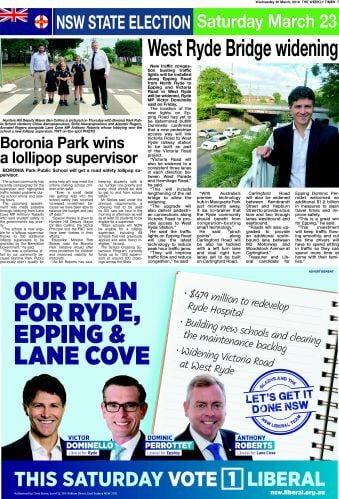 The location of the new lights on Epping Road has yet to be determined but Mr Dominello confirmed that a new pedestrian access way will link Victoria Road to West Ryde railway station to be built as part of the Victoria Road project. “Victoria Road will also be widened to a consistent three lanes in each direction between West Parade and Hermitage Road,” he said. “This will include lengthening of the rail bridge to allow the widening. He said the traffic lights on Epping Road will use the latest technology to reduce peak hour traffic jams. 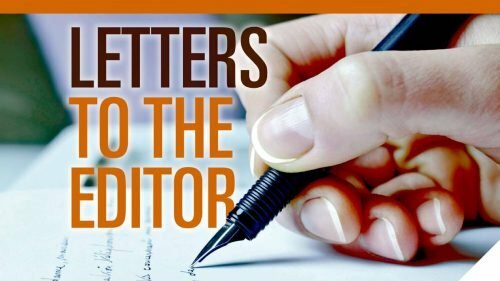 He said “pinch points” along Carlingford Road will be also be tackled with a left turn lane and dual right turn lanes set to be built on Carlingford Road. Carlingford Road will also be widened between Rembrandt Street and Hepburn Street to provide a bus lane and two through lanes westbound and eastbound. “Roads will also upgraded to provide an additional southbound lane between M2 Motorway and Woodstock Avenue at Carlingford,” he said. Treasurer and Liberal candidate for Epping Dominic Perrottet welcomed an additional $1.2 billion in measures to slash travel times and improve safety. “This is a great win for Epping,” he said.